Are you ready to UP your Bible Study game? Click here to buy the bundle–on sale now!! 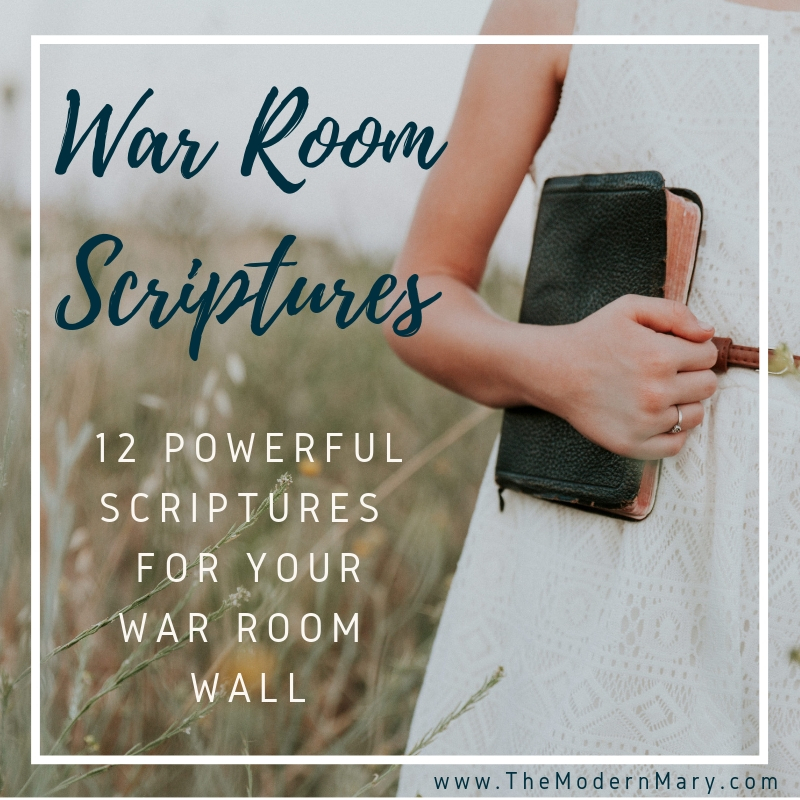 Today we are going to talk about war room scriptures and the power that praying can have on your life. I often get emails from women asking me how they can grow closer to God. You might be wondering the same thing for yourself. I totally get that–and if I’m honest–I am asking myself that very question every single day. LORD, how can I be closer to you? I do not claim to know everything–or even close to everything–but I always feel safe answering these inquiries with one simple word. A simple word that means so much. In the same way you get to know people in your real life–you spend TIME with them. You chat with them, and then you listen to what your new friend is saying. When you haven’t talked to her in a while, you start to feel distance between you. The same goes with your relationship with the Lord. One practice that, when I’m consistent, leaves me feeling very close to God–is spending time in my War Room. Which for me has become a chair in my office. If you have the space or desire to create an actual war room–do it! But for me, it’s my green chair with my Bible and notebook open on my lap. I’m in that place to spend time with God through prayer. I have a little place near my chair where I hang little notes or prayer requests, scripture cards or even pictures of people I’m praying for. I also keep some of those same things tucked inside my Bible and journal. Today, I’m going to share 12 of my favorite power-packed scriptures with you. The verses that I am praying in my war room. no weapon turned against you will succeed. raised up to accuse you. their vindication will come from me. Post these scriptures all over–I’m serious…they have true power–even just speaking the words out loud. I can’t wait to see and hear how your life transforms after speaking these promises over your life and the lives of those you love. Change Your Prayer Life TODAY–Join the 21 Day Prayer Journal Challenge! !